A Visit to Olivewood Cemetery, Houston, Texas. 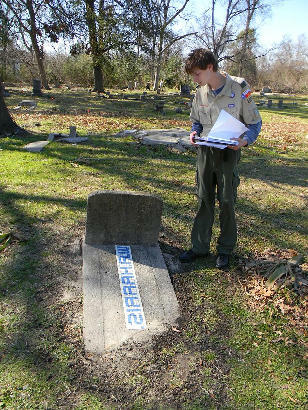 Long forgotten, this seven-acre piece of ground is the final resting place of some of Houston’s most prominent Black citizens from the 1870s through the 1930s. For decades, the site has been hidden behind the warehouses of a large grocery distributor just south of Interstate 10,. The stone markers and tombstones have been covered in unruly privet, and entangled by wild vines while gravesite borders have been split by the sprouting seeds and roots of Hackberry and Chinaberry trees. The settling of Houston’s notorious "gumbo" soil and vigorous root growth has wrecked the original cement curbing along the cemetery’s promenade and dislodged some monuments while vandals (no doubt) contributed to the toppling of other stones. Statuary is limited to a pair of angels and two stone lions (both guarding the same angel), and what few iron fences remain are broken and bent from fallen tree branches by unnamed storms. It is possible that other iron fences were removed for scrap drives of World War II. 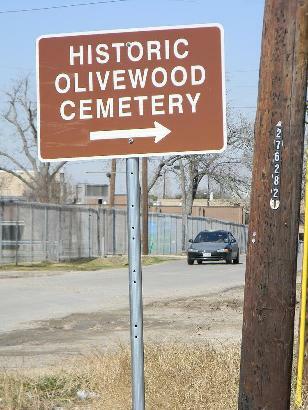 Proclaimed a Historic Cemetery in 2006, Olivewood has remained mostly cloaked in vegetation until recent months. 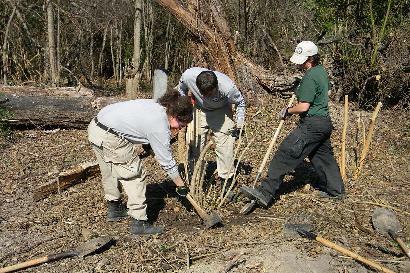 A visit in the summer of 2010 showed only about 25% of the gravesites visible, facing impenetrable walls of brush and undergrowth on the eastern and northern edges. Volunteers have been coming to the site on the 2nd Saturday of each month to slowly make progress on this once Herculean task. It’s now estimated that 80% of the graves are now visible although many other unmarked interments will never be revealed. 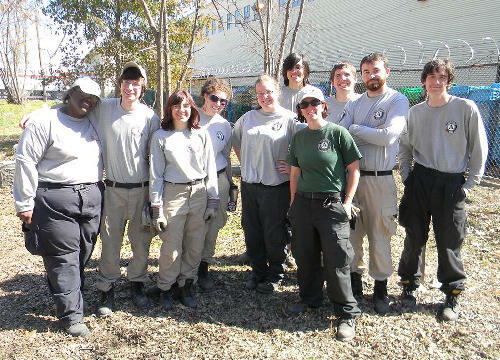 Our visit on February 12th 2011 had two volunteer groups present. 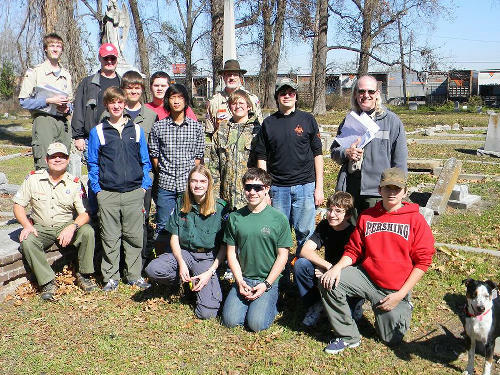 One was a local Scout Troop helping one of their own complete his Eagle Scout project, while the other was a group of NCCC volunteers based out of Denver, doing yeoman’s work of clearing brush and timber as they earn credit toward college tuition. Both groups remained at their tasks throughout our visit, but were kind enough pause at their labors to pose for the group photos shown here.